FIFA U-17 World Cup: Sports Minister Vijay Goel finalized 15th May as the preparation Date. FIFA Under-17 World Cup 2017 will be played in six cities, Delhi, Navi Mumbai, Kolkata, Goa, Kochi, and Guwahati, from October 6-28, 2017. He said all this pointing directly towards the authorities of the Jawahar Stadium in Kochi and was very upset. Jamie Yarza who is head of competitions set a final date for the completion of all preparation that is 15th May. Goel will visit the Kolkata stadium as well on 5th May. He wants to visit the competition as well as practice venues there. 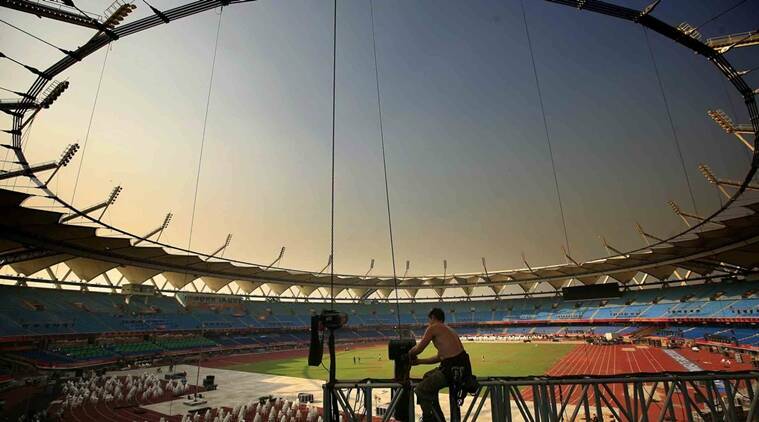 The authorities are still not alarmed because of which preparations are getting delayed.This is the first time India is hosting such a big event of Football. FIFA U-17 will bring good opportunities for India and its youth. The outside countries have great expectation from India as India is a vast and beautiful country. At present Indian National, U-17 team is currently on the exposure visit to Europe. They are preparing themselves for the upcoming FIFA World Cup which will be organized in India.